Viktor Zotov is a founder and chief architect of bureau "Zotov & Co" and a co-founder of CANactions Educational Platform. 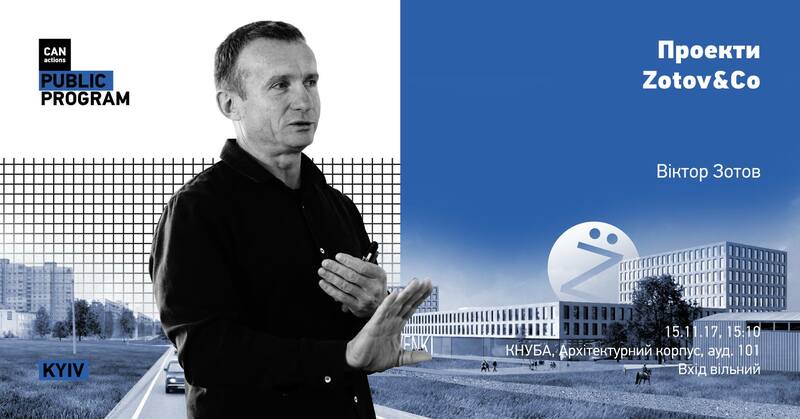 He will give a public talk for students of Kyiv National University of Building and Architecture. The main topic of the event will be the latest projects of bureau but also – in wider perspective – values in their foundation. Why is the main principle of architecture is simplicity? How we can learn to see and reduce unnecessary?